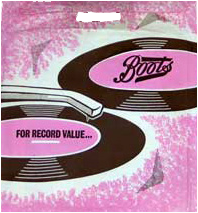 (May 20, 2014) Pete Downs said:As well as the record department in the main Broad Street Branch there was a seperate Audio Boots shop in Friar Street that opened aprox. 1973. I worked in it from 1974-77.